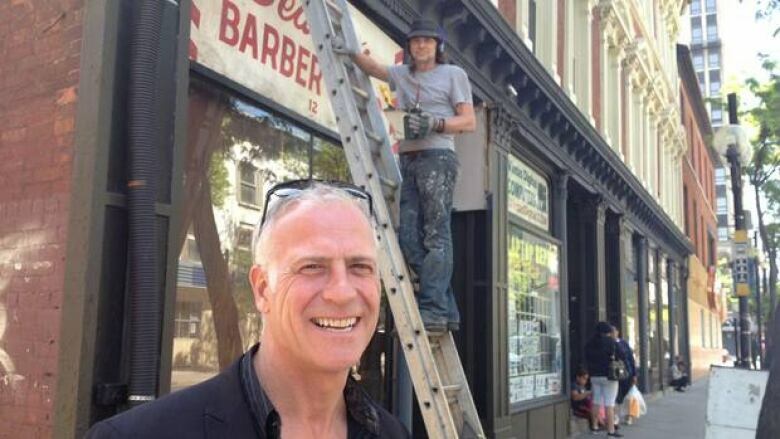 The man who bought derelict Treble Hall is bringing it back to life. And soon there will be music too, in a third-floor space that's older than Canada itself. The development world is full of those who make grand promises and don't deliver. Over the years, Hamilton seems to have attracted more than its share. 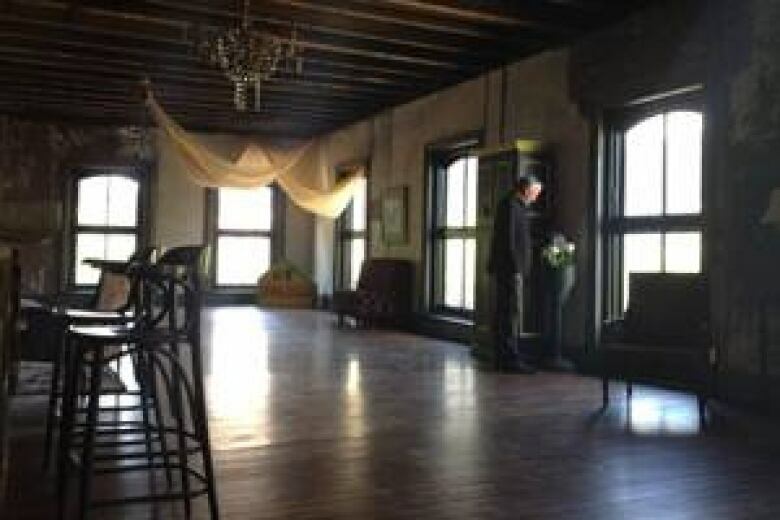 Jeff Feswick, who bought downtown's long abused but still beautiful Treble Hall, is cut from a different cloth. So far he's doing everything he said he would. And now he's making new pledges. Coming soon, a mural for an alley that's been mostly a pissoir. 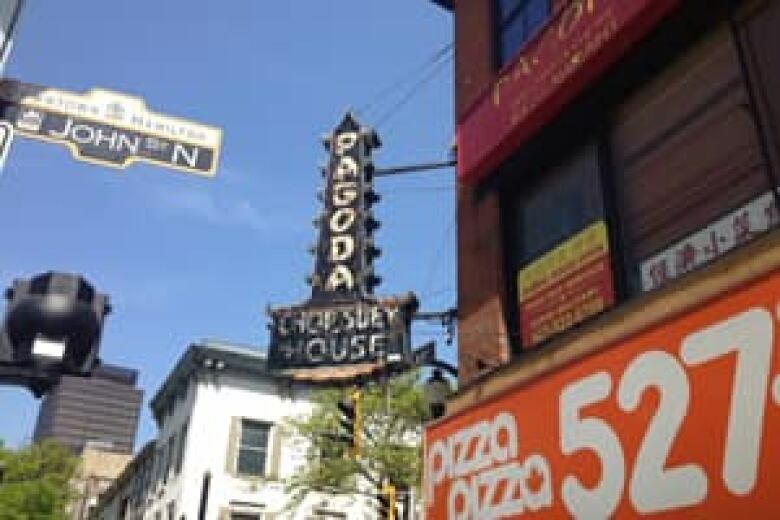 A restoration of a metal-and-neon Hamilton icon. And the launch of a music-made-here program, the Treble Hall Sessions. Feswick started in on the rebirth of Treble Hall one year ago. It's the imposing 1879 structure that commands most of John Street between King and King William. For about four decades it had been owned by a Toronto man who took no pride in the place. "I just collect the rent," he once declared. What rents there were, that is. Much of the building was empty. Feswick, 52, is president of Historia Building Restoration, an outfit that's done work at City Hall, CHCH, the Old Mill, the Right House. He decided it was time to have a project of his own. He paid $735,000 for Treble Hall and knew he would spend much more than that over the next few years to bring it back to life. The work began last May when Feswick hired the industrious Pereira brothers, three young guys from Dundas, all studying at Carleton. Their job was to gut the interior of Treble to the studs. They hauled away some 40 loads, and in the process uncovered much treasure. 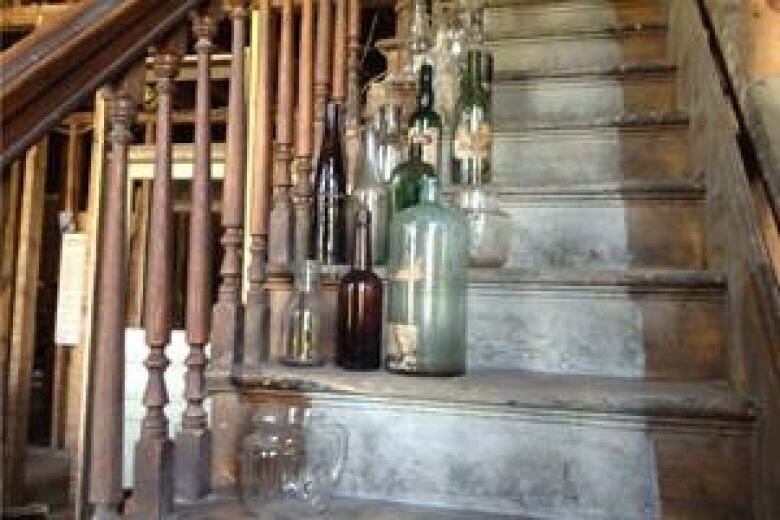 There were corsets, shoes, bottles, pots and pans, magazines, many of the items more than a hundred years old. All are now safely archived. Treble Hall is decked out with loads of ornate and original pressed tin. All of that has been restored. And now the hall has new windows. Big ones, nine across, on both the second floor and the third. At street level, Feswick is just applying temporary "lipstick" right now, a paint job to instantly make the storefronts more respectable. Those who wait for the Barton bus out front will appreciate the touch. Maybe even those who line up at the methadone clinic next door will notice the difference. Feswick has cultivated a relationship with the clinic owners, and that's led to them hiring a security guard to keep things moving out front. An alley separates the two properties, and you could call it grungy. "Up to now," Feswick says, "it's been pretty much a place where people like to urinate." But Feswick has put out a call for proposals from artists to paint a big In The Garden of Eden mural there. He's choosing from half-a-dozen applications right now. The artist selected gets $1,500 and Feswick provides the paint and scaffolding. The art, 10 metres long, starts soon. When he first looked at Treble Hall, Feswick didn't realize the property included the building attached to it, the one at the corner of King and John. It's even older than Treble Hall, pre-Confederation. On the ground floor today, Pizza Pizza. On the second floor, since the 1940s, the Pagoda Chinese restaurant. And hanging off the side of that building all these years is the metal and neon Pagoda sign. It's faded now and the lights are shot, not unlike what happened to downtown. Feswick is going to make the Pagoda's beacon shine again. The sign is of the non-compliant kind. If it comes down, it can't go back up. So it will be restored in place. Soon you'll see walk-through scaffolding go up on that corner. All the neon tubing will be replaced, all the metal sanded, primed and painted in exactly the same colours the sign makers chose a couple of generations ago. And coming next month, the first of several installments of the Treble Hall Sessions. Feswick and friends are sending out letters to about two dozen local musical artists. Several will be chosen for the first session, captured on the third floor of Treble Hall, a place with hardwood floors and lots of windows. The acts will be recorded professionally, video and audio, and the artists retain all property rights. Treble Hall does reserve the right to air the sessions on YouTube.